Our facilities provide with two special bungalows rooms, assigned with a policy of first come first served, with additional space and high cathedral ceiling, these rooms are located at ground floor, with direct access to our pool area and a quiet reserved position, separated from the other accommodations. The total area is of 68 Sq.m. (732 square-foot) and the layout of the space consist of a large bedroom, en-suite bathroom and terrace with seating furniture and pool view, maximum capacity is of 2 adults. 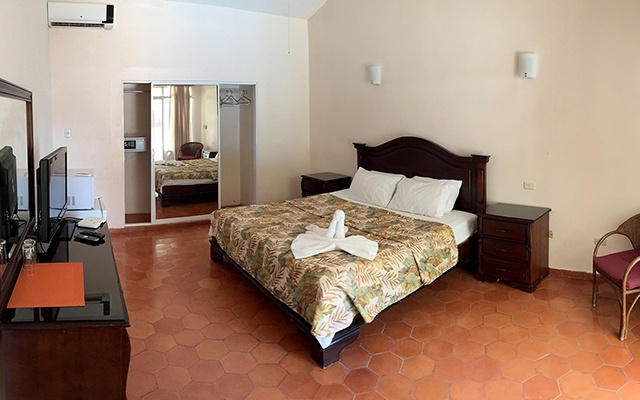 Included in the rate is a mini fridge, A/C, fan, flat screen TV and cable, free parking, safe use and Wi-Fi. The price also ensures breakfast for 1 person, and our In-house restaurant is available for additional orders from 8 a.m. to 10 p.m. totally tax free for our hotel guests. 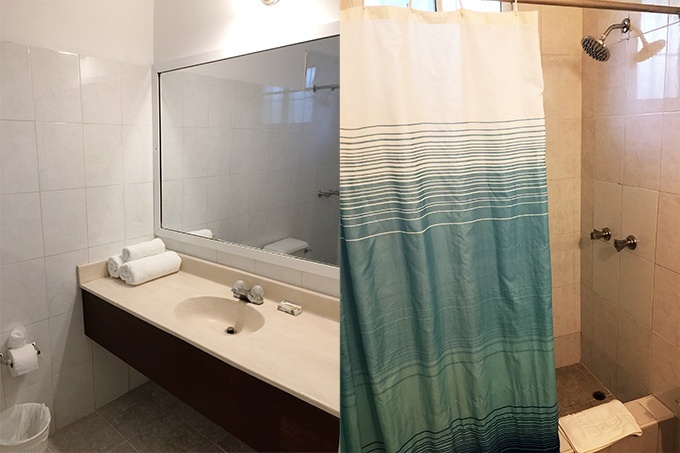 Our outstanding staff will change towels daily, and deep clean with complete sheet and cover change every other day. Never worry about hot water again, every room is equipped with personal heater!